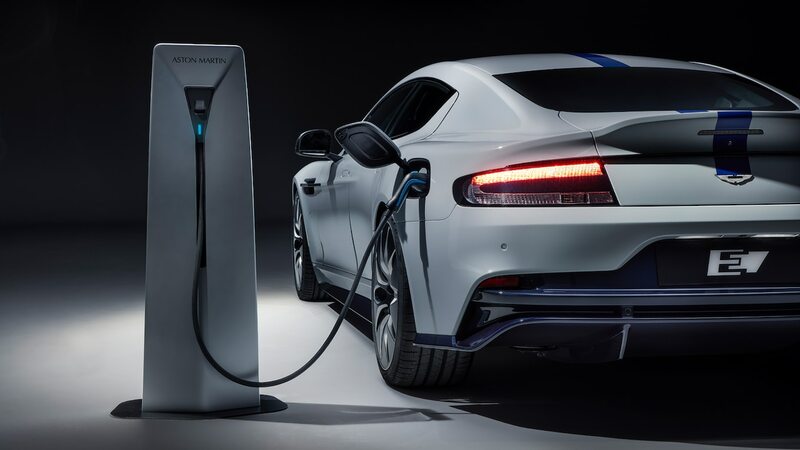 One of the questions we ponder at any Motor Trend “of the Year” event is whether a vehicle is a game-changer. While that term—that little bit of corporate execu-babble—is overused and slightly sickening, it really is significant. 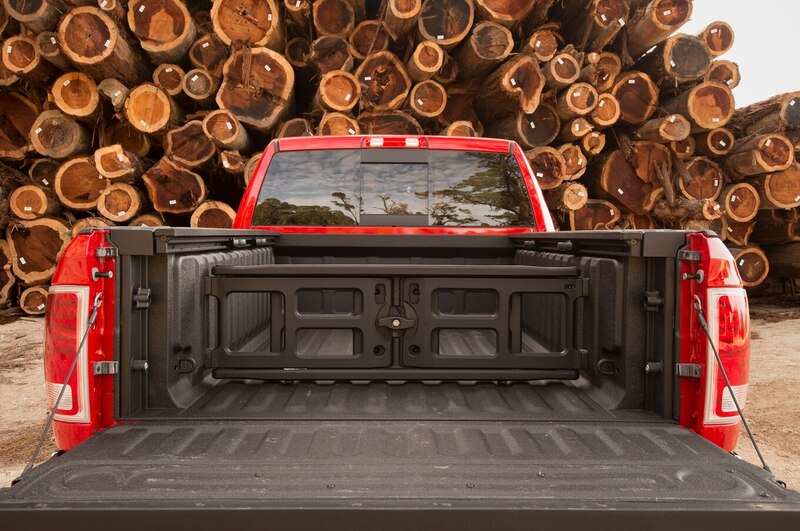 For years, truck manufacturers did what was safe and didn’t upset the status quo. But two years ago Ford rocked the boat with the twin-turbo V-6 EcoBoost. 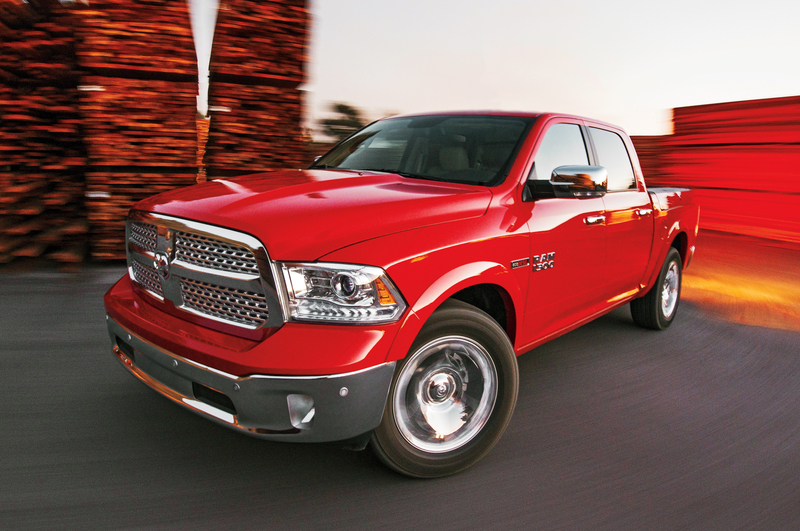 Last year, Ram rocked it again with air suspension and an eight-speed automatic. We were hoping GM would continue the trend and blow us away with something even bigger. We simply weren’t expecting Ram to do just that. 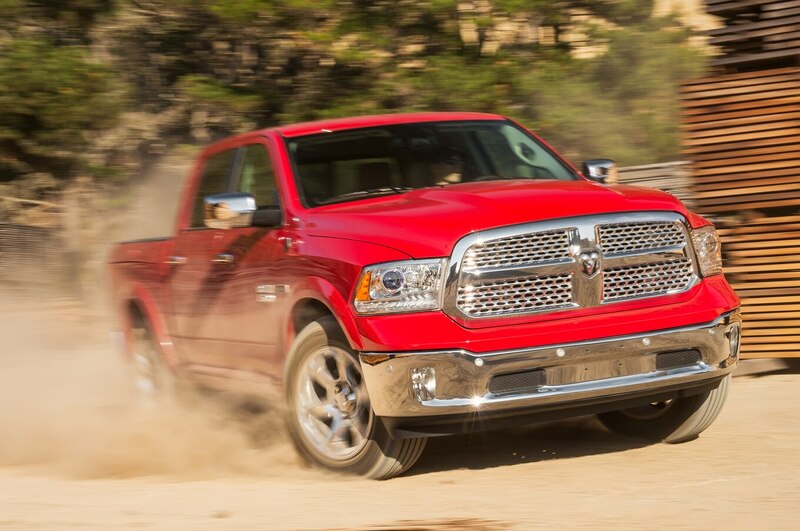 The first hurdle the Ram 1500 had to clear was convincing our judges that it deserved consideration. 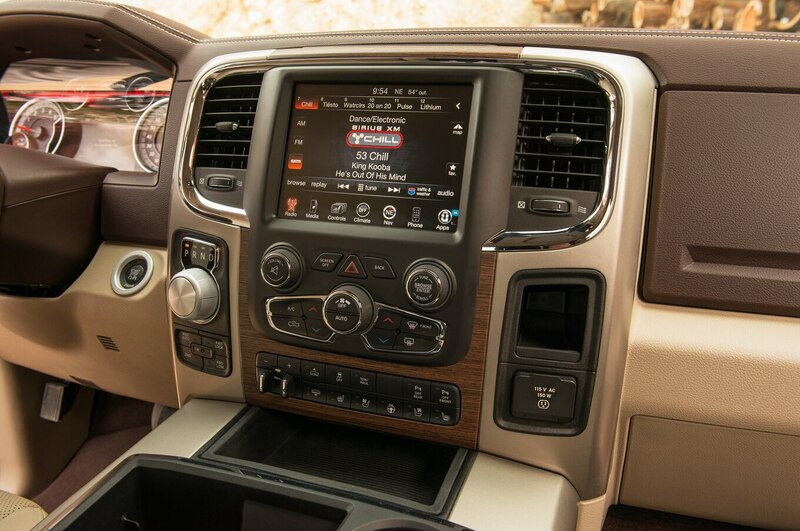 Truck of the Year is only open to all-new or significantly updated trucks and vans. 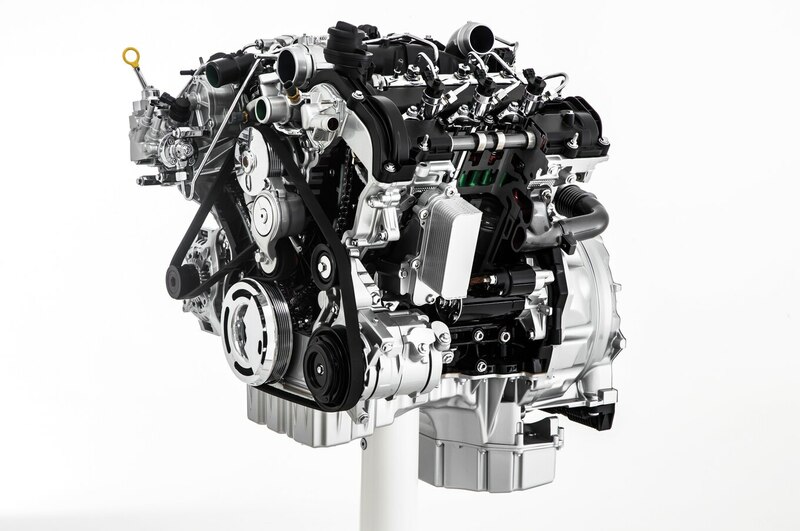 Is a new diesel engine enough warrant inclusion? Yes, because this isn’t just a new engine — this is, strictly speaking, a different technology for the segment. 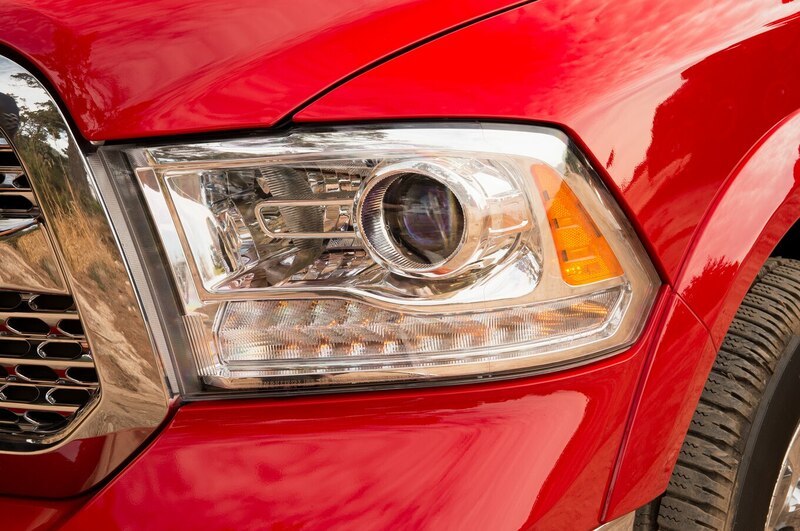 It’s been more than 15 years since a manufacturer has offered a 1/2-ton truck with a diesel, and the last time anyone did, it became part of the reason why diesels all but disappeared from mainstream America. 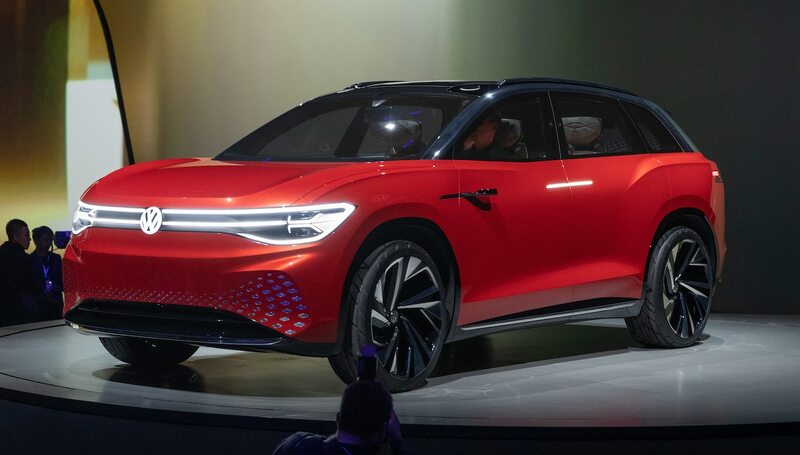 It cemented consumers’ belief that diesel is for smoke-spewing, slow-moving trucks that sound like a coffee can full of bolts driving down the road. 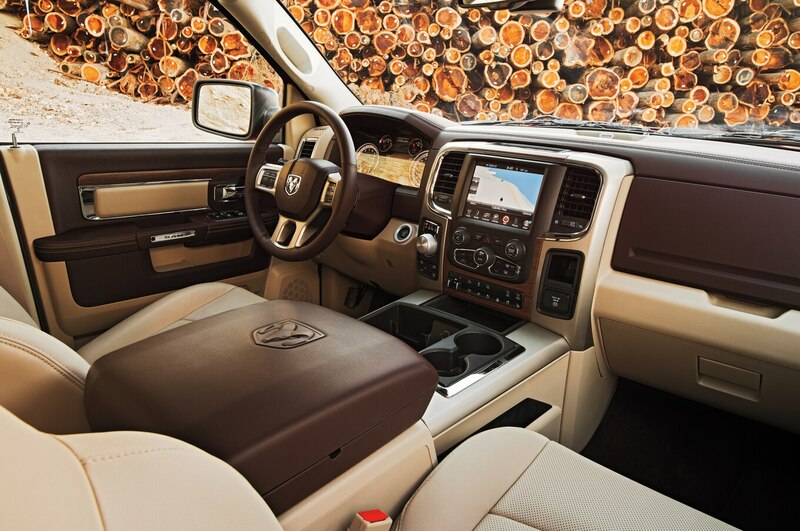 If you haven’t driven a modern diesel, you might still think that way. Awesome torque down low. 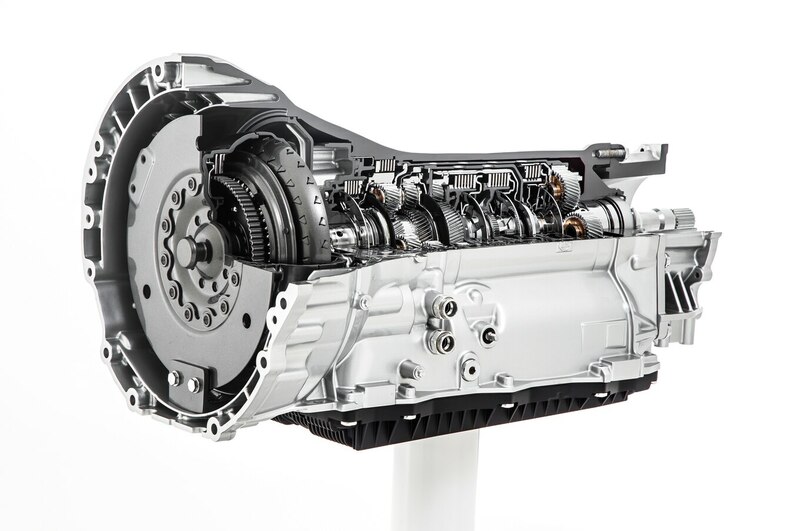 Superb eight-speed automatic — it just surfs the torque wave. First, a little education on the superiority of diesel: Gallon for gallon, diesel fuel contains roughly 15 percent more energy by volume than gasoline. That means if everything else were equal and you had enough gas to get you 500 miles, the exact same amount of diesel would get you 575 miles. But wait, there’s more, as all things aren’t equal. 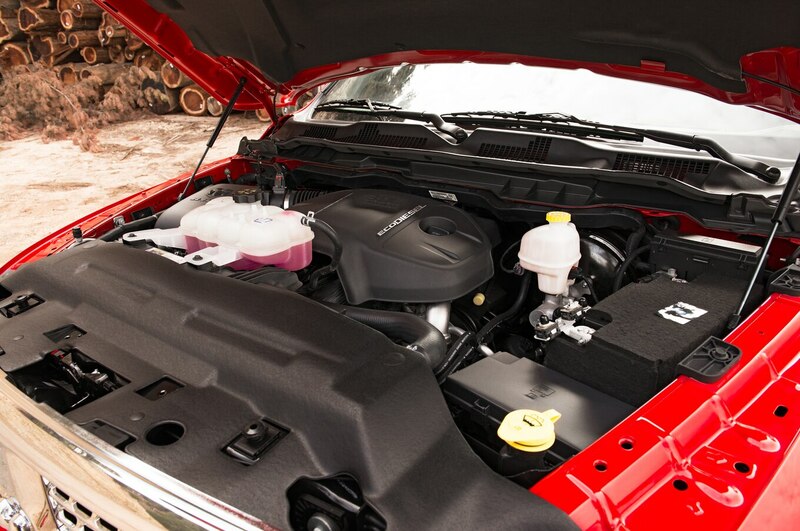 Diesel fuel is more stable than gasoline, meaning diesel engines are capable of running higher compression ratios and more boost from forced induction, both of which add up to greater power generation from smaller displacement, which again means more efficiency. 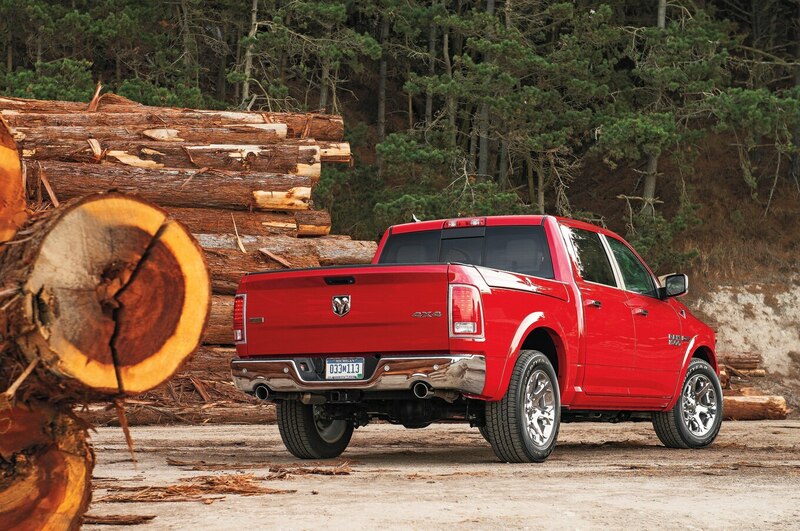 Diesel’s slower burn rate also means it’s ideal for lower rpm operation. Driving around with an engine screaming away at 5000 rpm might be fun for a little while, but climbing a mountain listening to that constant drone is no way to spend a road trip. It also happens to be terrible for fuel economy. 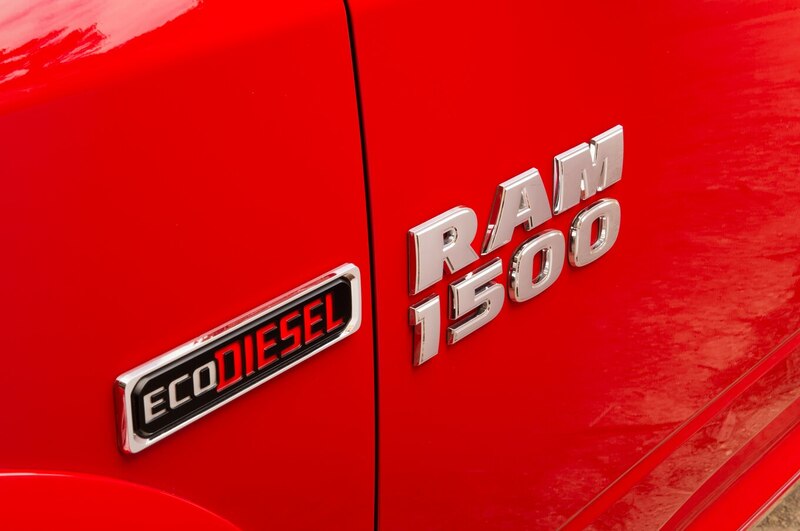 Ram’s new EcoDiesel is shared with the Jeep Grand Cherokee and built in Italy by Fiat subsidiary VM Motori. The 3.0-liter DOHC turbodiesel V-6 produces 240 hp and 420 lb-ft of torque. The 60-degree V-block is constructed from compacted graphite iron. Traditional gray iron uses graphite in flake form, while the CGI forces graphite into more random intertwined shapes. The result is a structure with a better strength-to-weight ratio than aluminum. The bottom of the block is reinforced with a CGI bedplate and topped off with aluminum heads. Inside, cast aluminum pistons are bolted to cast iron connecting rods that spin a forged steel crankshaft. Four main bearings with four bolt caps are incorporated into the bedplate. 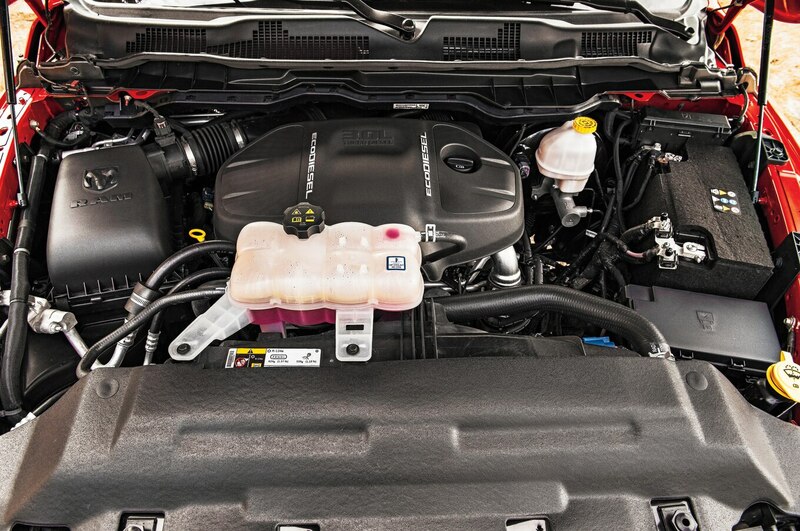 Fiat’s MultiJet II direct injection system feeds the engine. The solenoid injectors operate at 2000 bar — that’s 29,000 psi if you’re counting. The system is capable of eight injections per cycle that can be used for priming, main injection, combustion shaping, and post injection. Air induction is force fed with a single variable geometry Garrett 2056 turbo that has movable vanes to direct exhaust gases into the turbine wheel. Closing the vanes at low engine rpm increases the velocity of the gas hitting the turbine, so it spools up faster, creating more boost with less lag. Once the intake air is compressed, it passes through a front-mounted air-to-air intercooler before entering the combustion chamber. Better yet, this works as good in the real world as on paper. As some of our readers know, we’ve started an initiative to become the industry standard in fuel economy rating. We are doing extensive real-world testing we’re calling IntelliChoice Real MPG. 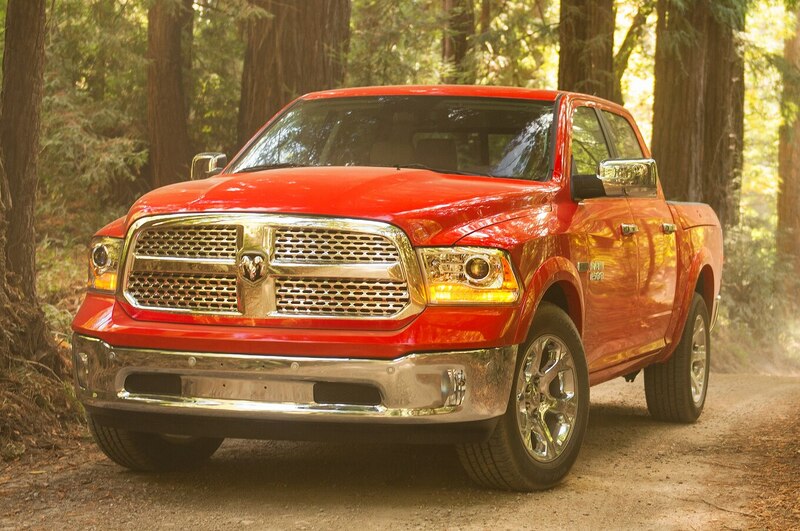 The Ram EcoDiesel, which had not received an official EPA rating at the time of this writing, returned impressive numbers: from 19/26/21 mpg city/highway/combined for a Laramie Longhorn 4×4 with a 3.92 rear axle to 18/28/22 for a Lone Star 4×2 with a 3.55. Signficant stats for a 1/2-ton truck. 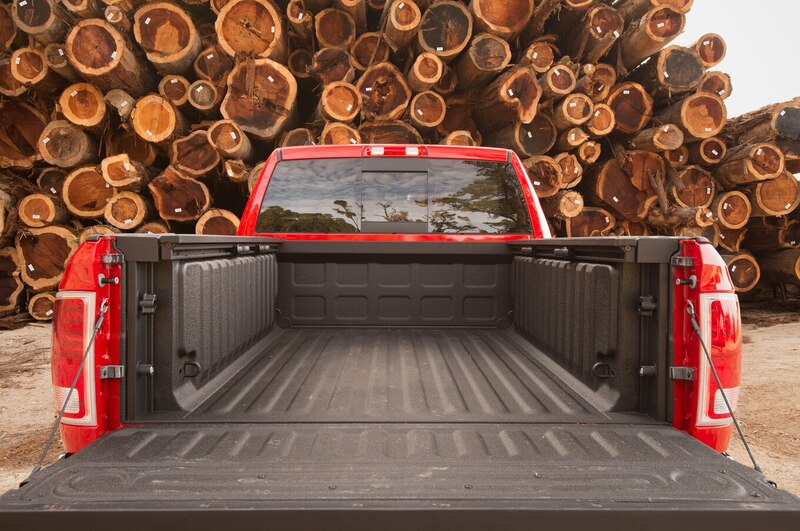 To put that into perspective, the GMC Sierra Denali with the 6.2-liter gasoline-powered V-8 managed 15/20/17. 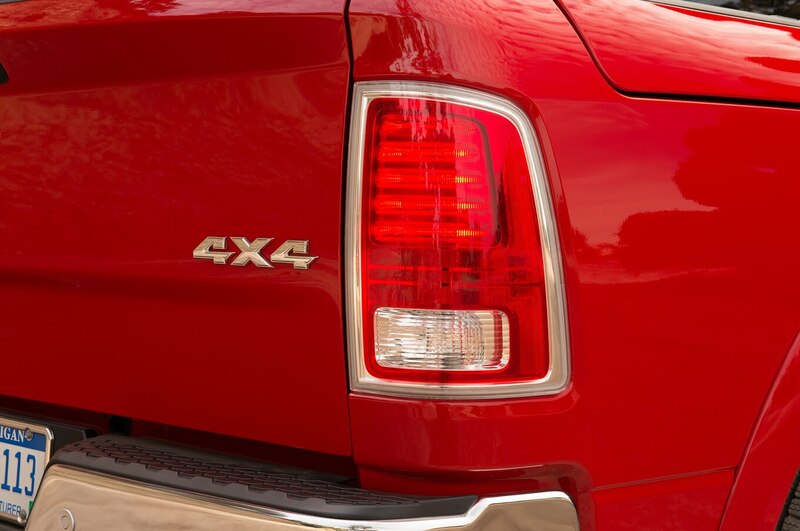 What about GM’s smaller 5.3-liter V-8? I will do one better: How about the 4.3 Ecotec V-6? It scored 15/21/17. During testing, our judges were surprised by the qualitative and quantitative results when comparing the diesel V-6 with a typical gasoline-powered V-6 or V-8. 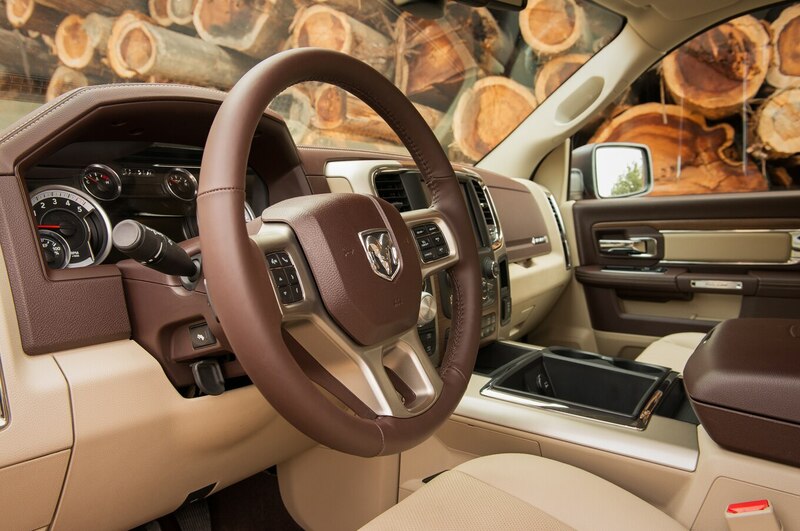 Our testing represents the type of hard driving to which the toughest of owners will subject their trucks. We tow, we accelerate from a stop, we accelerate at highway speeds, we throw in some climbs for good measure, and we simulate a truck’s best/worst days. When all was said and done, the EcoDiesel returned an observed 15 mpg at the test track, while the GM V-8s and the lone Toyota 1/2-ton V-8 were all in the single digits. The Sierra V-6 managed only 10 mpg. 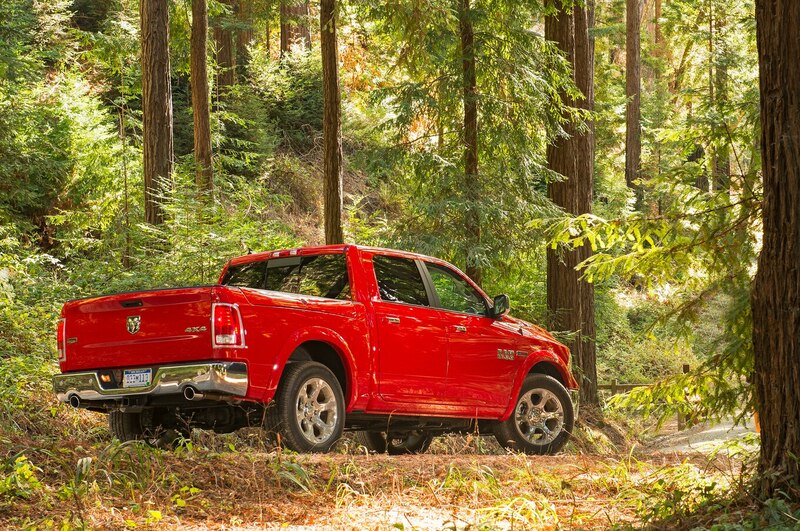 The Real MPG testing confirmed our findings, with the Ram towering over its 1/2-ton competition by at least 8 mpg city, 7 hwy. If you still doubt the advantages of the diesel engine, this might be more a spiritual than intellectual quandary. 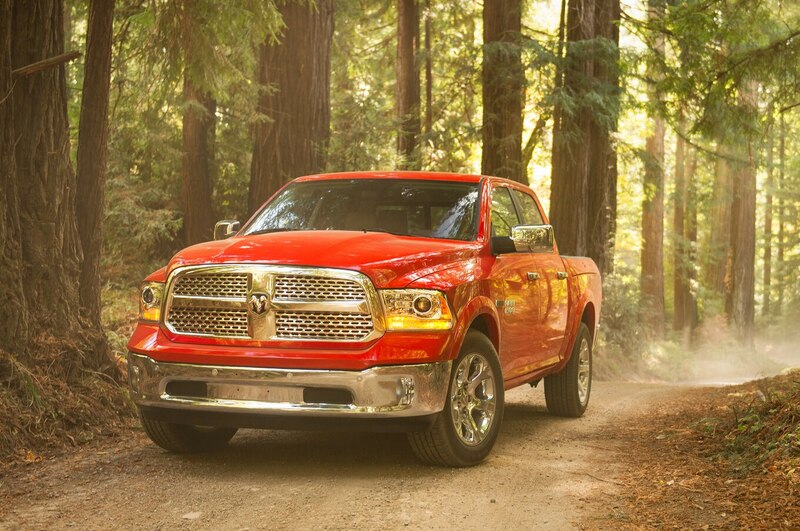 Our judges rated the EcoDiesel the highest in ease of towing as well. Harwood wrote, “Doesn’t feel like it’s struggling at all. Once it gets up to speed, it chugs along, smooth, fairly quiet, and with little effort. 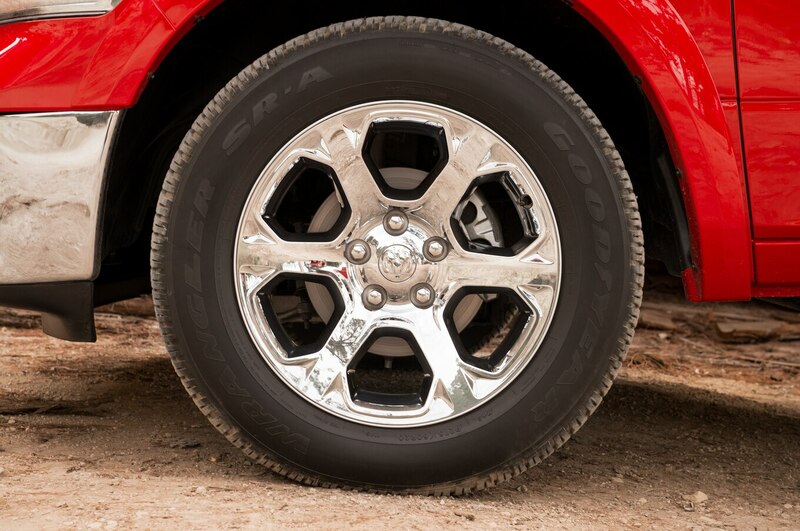 Operates at low rpm, and it’s easy to forget you’re towing.” Kiino followed up: “Awesome torque down low. 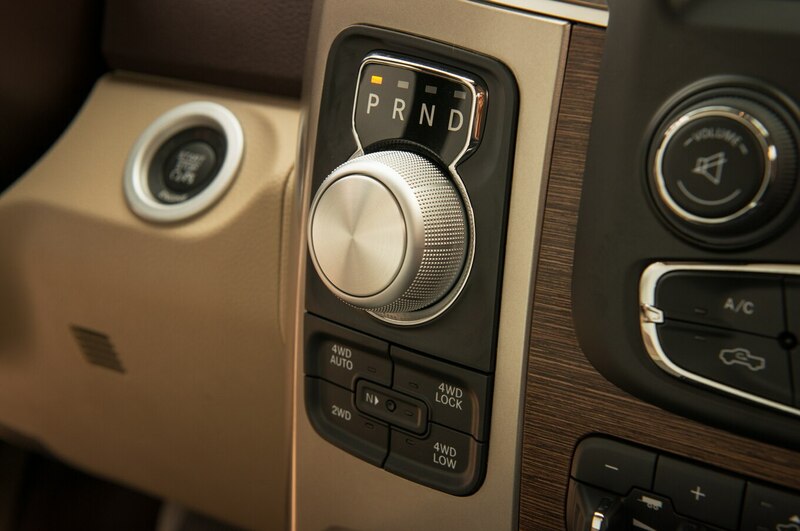 Superb eight-speed automatic — it just surfs the torque wave.” That’s the brilliance of this truck: It never feels like it’s trying. The gas-powered trucks spend more time hunting for gears and revving at engine speeds the diesel will never see. 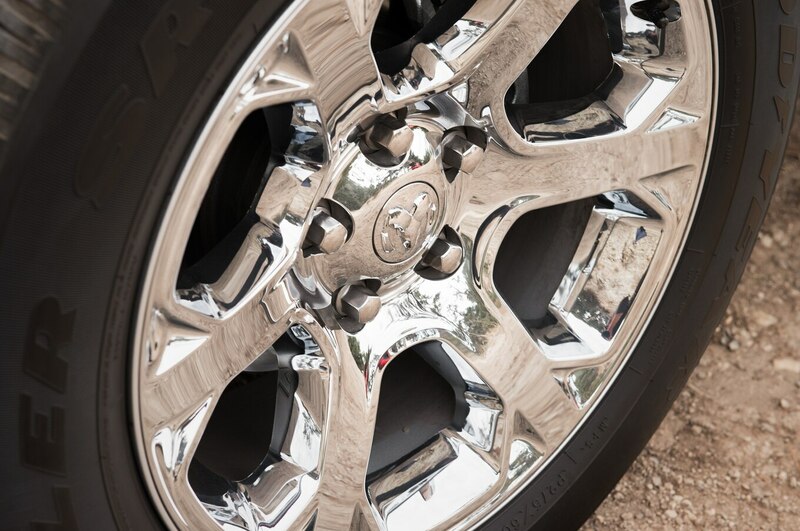 Both the shifting and NVH from high-rpm operation add to driver fatigue during long trips — especially when towing or hauling. 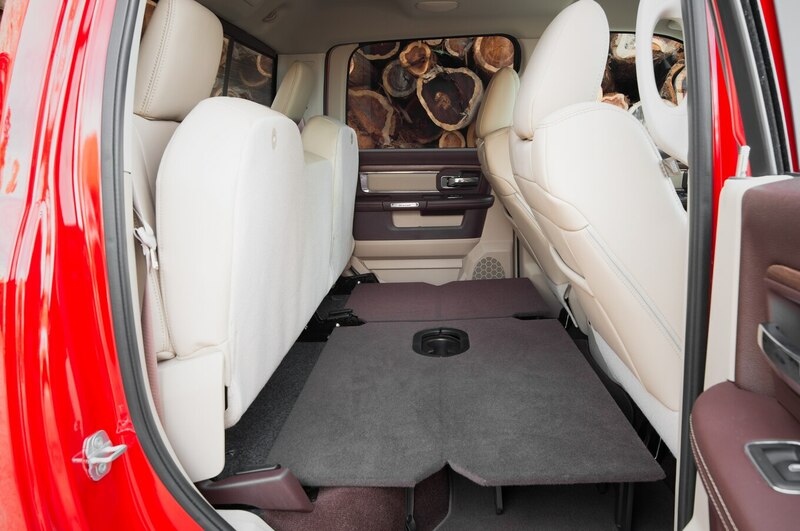 The engine noise and vibration in the EcoDiesel are isolated, reduced to a mechanical hum at cruising. This, combined with the other amenities, means the miles just melt by. 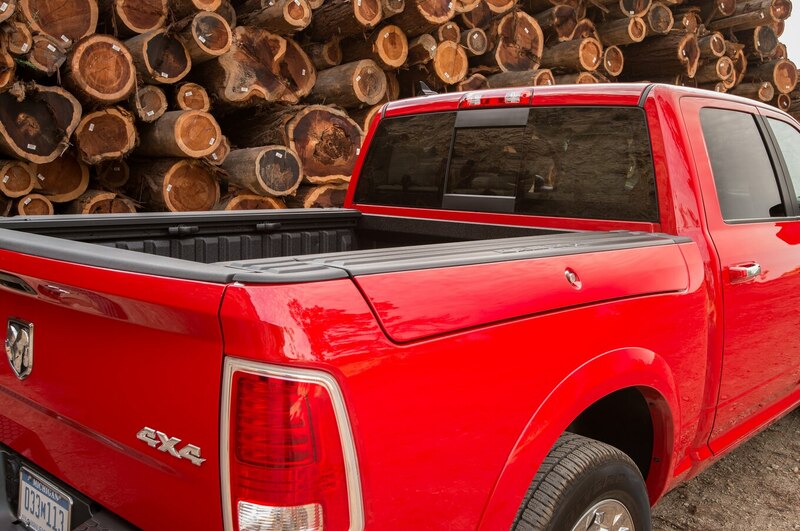 As we established last year, the rest of the Ram 1500 is class-leading in just about every other respect. Ram Boxes are still the best thing since pre-sliced bacon. 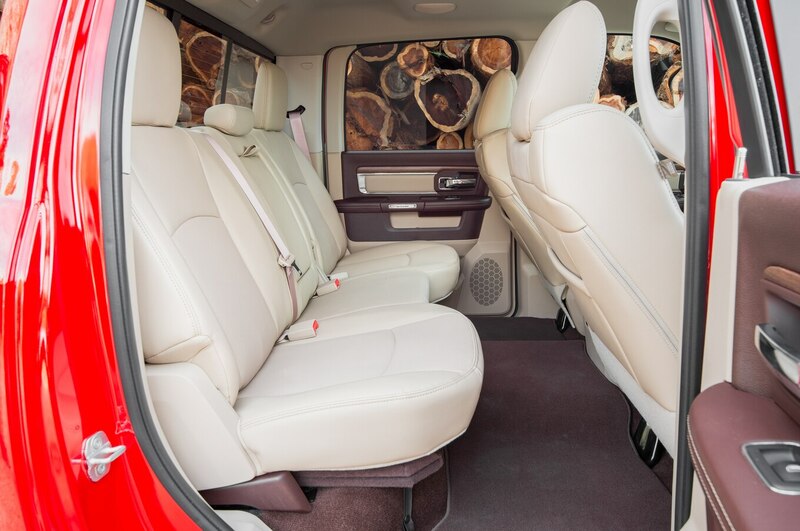 The interiors are thoughtfully laid out and the controls are designed to be intuitive and easy to operate even while wearing gloves. Last year, we wondered about the advantages of the control dial for gear selection. While I’m still not entirely convinced it functions any better than other shifters, you can’t argue with the packaging advantages of getting it off the center console and tucked up on the dash. We still dislike the tiny manual shifter buttons on the steering wheel, however. 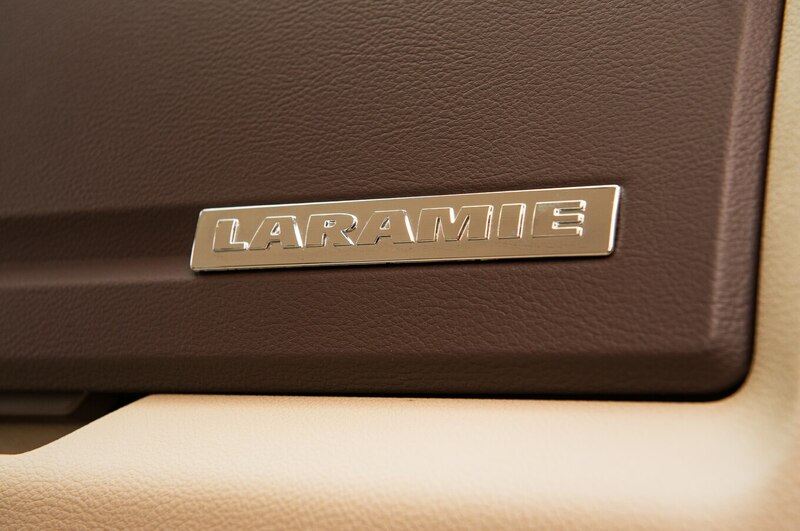 Our silver tester was totally decked out in Laramie Longhorn trim, which we quickly dubbed the “Are you joking?” package. The seats are embossed with Western-themed stitching that looks like it came off a pair of cowboy boots. 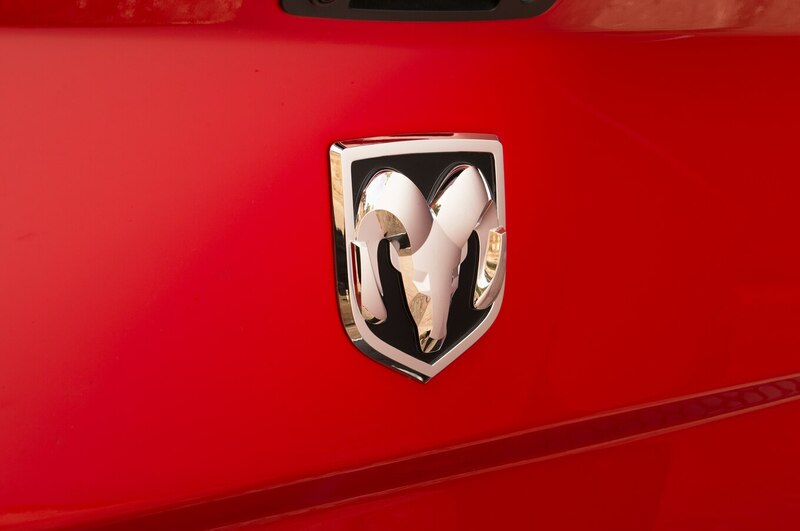 The design carries over onto metal trim, gauges, and exterior badges. We would recommend staying south of the Longhorn on the option sheet, unless you live in Texas or actually own a horse. 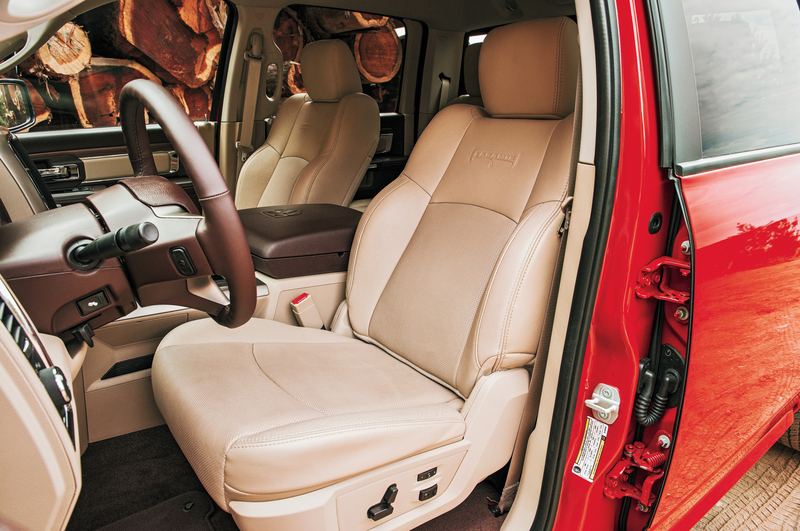 The standard Laramie (pictured in red) has uprated leather and wood that should make Chrysler 300 owners jealous. 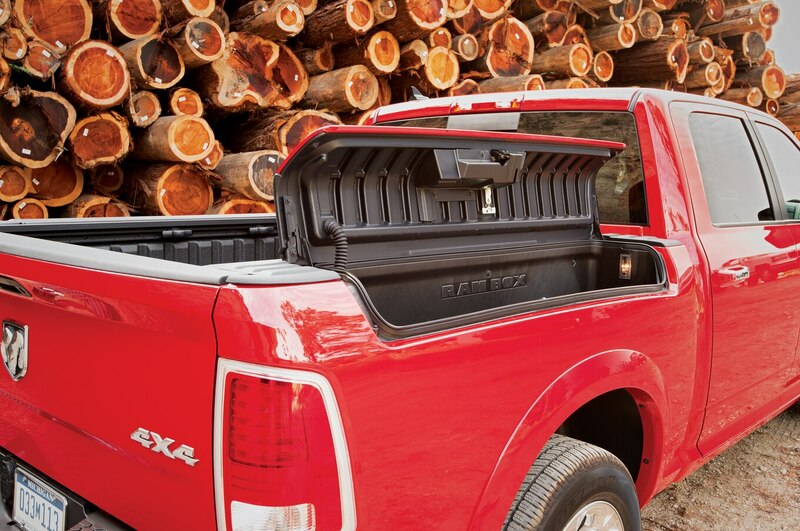 We also like the base EcoDiesel trim level (regular-cab Tradesman 4×2), which offers cloth seats, a base MSRP of $30,465, and max towing of 9200 pounds with a 3.92 rear axle. 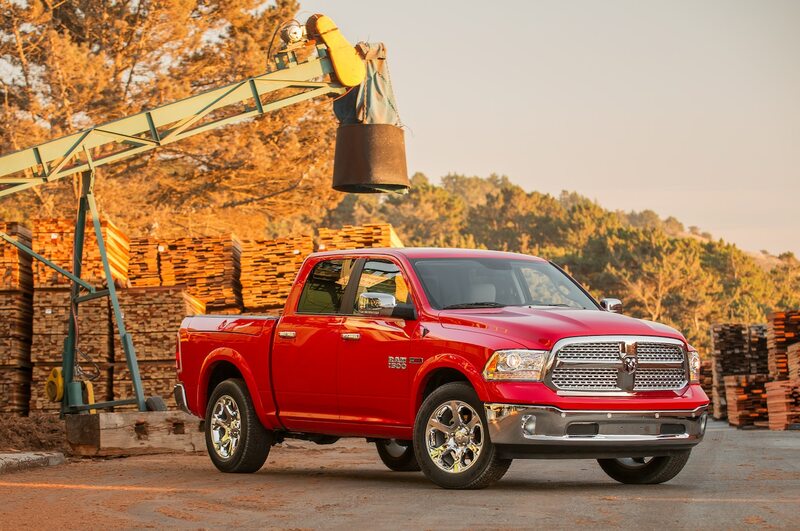 Other vehicles in the segment offer max towing above 10,000 pounds, but really, if you’re dragging more than four tons on a regular basis, you should probably step up to a heavy-duty. 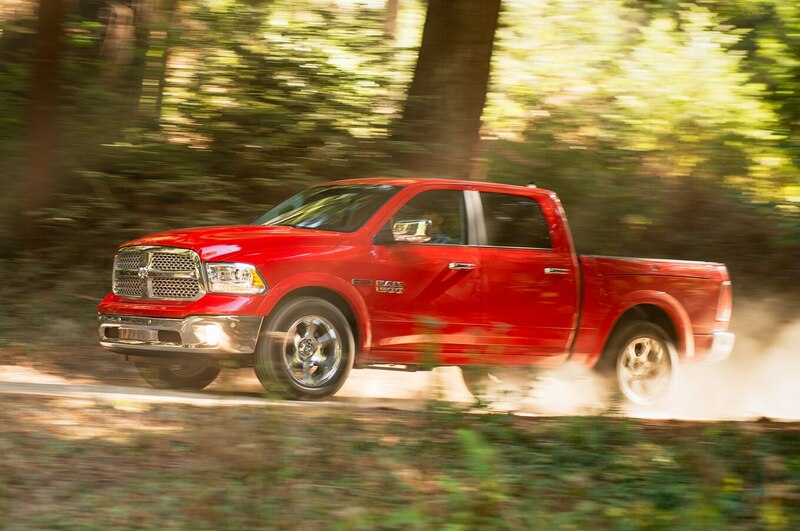 We’ve been awarding Truck of the Year since 1979 and have never given the award to the same truck two years in a row. 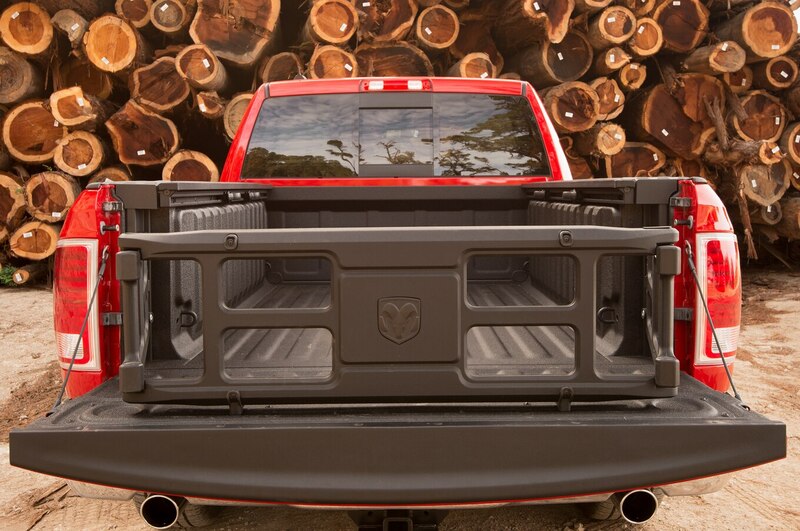 The Ram 1500 makes history as the first back-to-back Truck of the Year winner because it offers all the things truck buyers want in a rig: choice, value, great design, and more than enough power and torque. 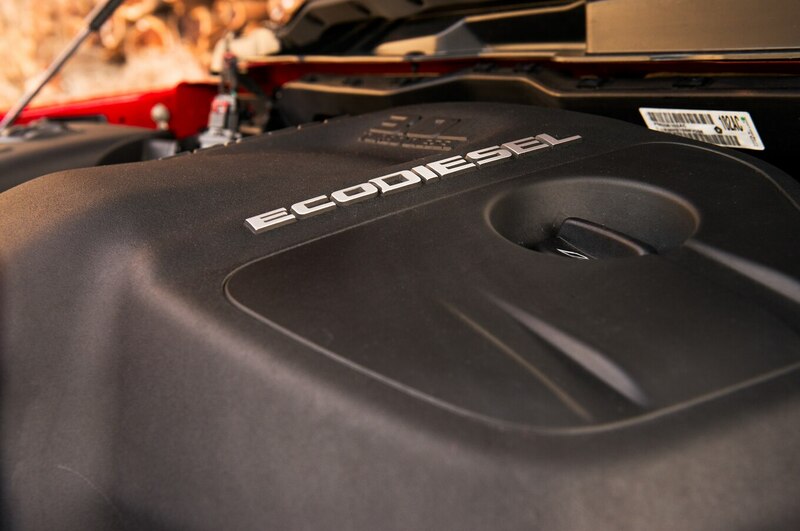 And with the EcoDiesel, you can add efficiency and guts to that list. 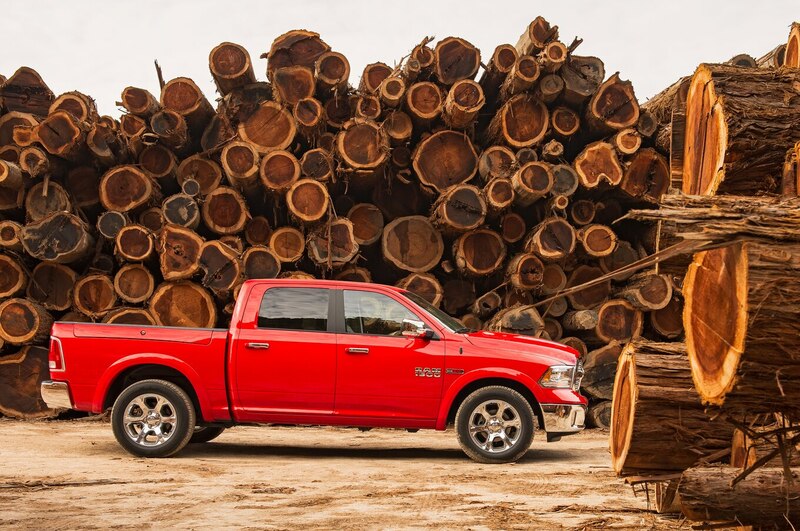 Ram has made a game-changing decision by bringing diesel to the full-size market. 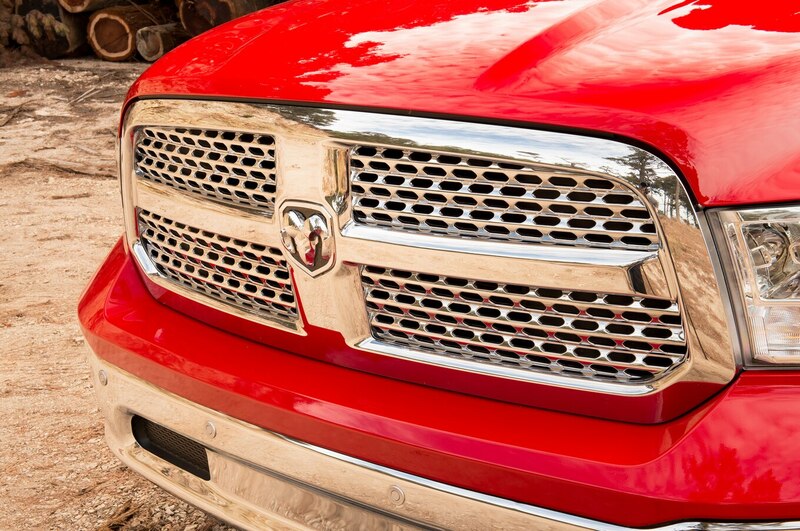 It’s a bold move truck lovers have been begging for, which is why the Ram 1500 is our 2014 Truck of the Year.